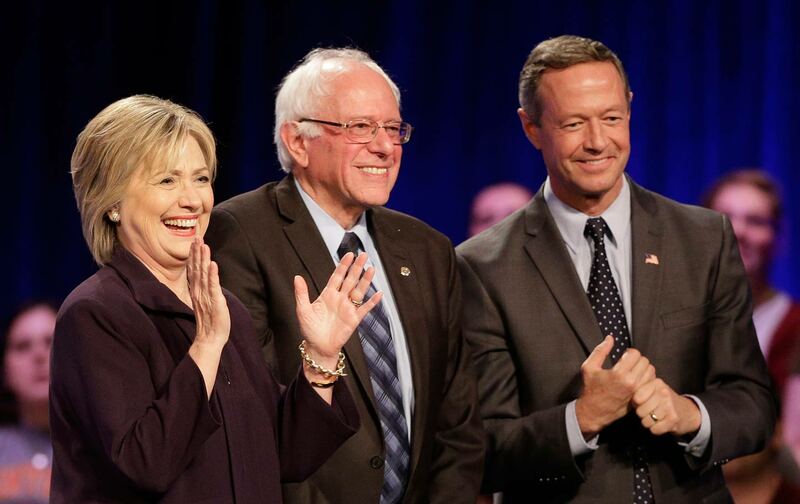 Martin O’Malley is trying to score points by attacking socialist Sanders for running as a Democrat. That will only hurt his party. Progressives were the winner at another Democratic presidential primary event on Friday, when MSNBC’s Rachel Maddow moderated the “First in the South” Presidential Forum. It offered another stark contrast with the Republican circus tent. All three Democratic candidates were thoughtful and funny, with innovative ideas about ending mass incarceration, enhancing voting rights, ensuring debt-free college and attacking income inequality. By most accounts, former Maryland Governor Martin O’Malley helped himself the most, using his half hour conversation with Maddow to spotlight his solid record of accomplishment—abolishing the death penalty, restoring voting rights to felons, legalizing gay marriage and implementing a Maryland DREAM act—as governor, with passion and wit. He quoted Thomas Merton. We learned he owns a kilt. I am a Democrat. I’m a lifelong Democrat. I’m not a former independent. I’m not a former Republican. I believe in the party of Franklin Roosevelt, the party of John F. Kennedy. I believe that we’re all in this together and we can make a better future. And that’s why I’m running for our party’s nomination. And I’ve never once rejected the nomination of the Democratic Party. Nor will I this time. Democrats should reject O’Malley’s attempt to stigmatize Sanders for choosing to run in the party’s primary though he has long labeled himself a democratic socialist, and chose to serve in Congress as an independent. For my entire adult life, there has been debate on the left over whether the Democratic Party is beyond redemption, a wholly owned subsidiary of corporate America just slightly less evil than the GOP, or a ready vehicle to improve the lives of Americans and blunt corporate power, if only progressives and socialists would get on board and pull its policies and politics to the left. Count me in the latter camp, along with the late Democratic Socialist Michael Harrington, who preached the virtues of being on “the left wing of the possible” (defining what’s “possible” has always been the rub). And now Bernie Sanders. Sanders is already under attack from some precincts of the left for working within the corrupt Democratic Party instead of staying outside and trying to blow it up. Now O’Malley wants to come at him for that decision from the center? It’s misguided. If Bernie Sanders wanted to hurt the Democratic Party, he’d run as an independent next November—and help elect President Donald Trump. The former governor dropped that line of attack, as well he should. Red-baiting isn’t a good look for any Democrat, especially one like O’Malley, who wants to use the power of government to improve people’s lives. National Review is already arguing that “America Now Has An Openly Socialist Party.” O’Malley and Clinton can’t hope to “me too” much of the Sanders agenda, which is popular with the party base, but red-bait the man who backs it, without being tarred as socialists themselves. That unconvincing political sleight-of-hand helped unravel the New Deal in the middle of last century; it will derail Democrats this century as well.